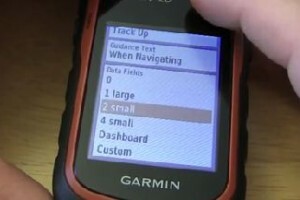 What the look for when buying or upgrading a running GPS is getting more complicated than it used to be 5-7 years ago. There are so many options to choose from. I get asked for my thoughts on which specific models to look for, so I decided that this post should be about factors to consider. Consideration 1 – Outdoors or Indoors? This one is pretty straight forward; where will you be spending most of your time running? On a treadmill or pavement? Do you live in a location where you can wear a t-shirt all year? Snow? rain? If you will be wearing up to 3-4 clothing layers, then using a heart-rate wrist GPS running watch may not be the best choice. Are you currently in a Learn to run or Couch to 5k program? An entry level watch will probably be sufficient as you will most likely need an interval timer for 10&1’s. Do you use tempo, fartlek, Vo2 max and other similar jargon on a daily basis? Then you are probably doing half, full marathons or even triathalons. In which case you probably will look for a higher-end watch to get those advanced features of display fields. Big advantage of GPS watches is the ability to extract the workout into a portal and see your improvements over time. Certain portals like Under Armour, Nike are big on communities and sharing on your social media account. Are you doing heart-rate training? 10 & 1’s? Do you need to create complex programs based on your fitness program? Depending on the answer will help your steer between entry & high end models. These are getting really good at detecting when you are walking, running and sleeping. If you are looking for general activitiy tracking, there is a reason why this is on a lot of people’s wrist. The web & smartphone portal are super easy and helps you track your progress. Consider the fitbit Charge, fitbit Alta or fitbit Blaze as top choices. There are a lot to choose from, it boils down to how many checkboxes did you get from the above considerations? The more you got checked off, the high-end you are looking at. At that is because you are probably serious with your training. You are serious with your training, probably spent money on a training program, was told to use Strava or doing a custom heart rate training program. The GPS runner series is fairly adequate and contains some of the next level features you might move into as you progress. Consider the TomTom Runner & TomTom Cardio. WatchOS 3 really improved the Workout app so that those of you looking at the series 1 Apple Watch will be able to get an experience similar to the above competitors. The Apple Watch series 2 improvements like built-in GPS really puts it on par with the rest of the GPS running watches. The choice is simple, choose Series 2 if you don’t want to carry your phone with you on a run. If you don’t mind and on a budget, get the series 1.